Milwaukee, WI, U.S.A.: Hal Leonard Corporation, 1998. 111 pp. B/W photos and bibliographies of each artist: Johnny Cash, Frances Preston, Gene Autry, Original Sons of the Pioneers, Steve Sholes, Willie Nelson, Paul Cohen, Roy Horton, Ernest Tubb, Rod Brasfield, Vernon Delhart, Bill Monroe. Songs include: Always on My Mind, Ashes of lOve, Cool Water, I Overlooked an Orchid, Kentucky Waltz, Mockin'Bird Hill, Soldier's Last Letter, Tennesse Saturday Night, Wreck of the Old 97. Softcover is very nice, no creases, tiny bumps to corners, No former owner's name. Text is very clean and unmarked. A tight copy.. Soft Cover. V. Good. 12 x 9. Toronto, London, N.Y.: Oxford University Press, 1975, 1975. HC and DJ. Presumed First. 9 1/4 x 6 1/4. ISBN:0-19-540244-8. 248 pp. 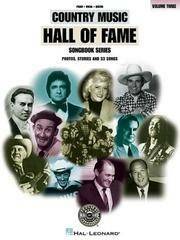 This refernce book was produced under the sponsorship of the Canadian Music Centre. It contains 144 entries on the active and prom inent professional composers who have produced all or most of their works since 1920. b/w photos of some of the composers, music notations of some works included. Notes on abbreviations; bibliographic al references, instruments and voices, organizations, performing and concert groups, places or events, publishers, recording labels, universities and schools of music. These abbreviations provide valu able lists to the Canadian music scene. DJ has some wear to edges , 3 tears and 3 chips but looks good in its new mylar cover. Former owner's sticker has been removed from front free endpaper. Text is clean, secure and unmarked. Dj cond: fair-good Binding, endpapers and text: v. good..
N.Y.: J. Curwen & Sons Ltd, Soft Cover. 7 1/4 x 4 3/4. 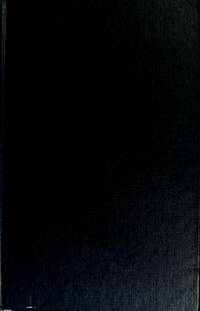 A stapled spine booklet Book II - Junior. An anthology of great melodies in 28 pages. Paper cover in quite nice shape, no creases, one small chip at spine, a spot of soiling on back cover. Staples spine very secure and nice. No former owner's name. Text clean and unmarked. overall cond: good++. London: HarperCollins, 1995, 1995. HC and DJ. Presumed First. 9 1/2 x 6 1/4. ISBN:0 00 255241 8. 211 pp. This book resulted from interviews with the members of the London Philharmonic orchestra. DJ has min. edge wear, no tears or chips , a couple of edge wrinkles. Not price clipped. New mylar cover. Cover is blue cloth on boards, one very min edge bump to bottom edge. In wonderful condition. Mauve endpapers have former owner's name printed neatly at top. Text is bright, clean and tight. Overall cond: near fine +..
Racine, Wisconsin: Golden Press, 1973 Hard Cover. Seventh. 8 x 6 5/8. 24 pp. 14 Childhood Favorites. Lavender's Blue, Billy Boy, Mary Had a Little lamb, London Bridge, Old King Cole, etc. Music notation for each song. Copy has some corner bumps and wear, wear along edges and some min. scuffing to back cover. Gold spine has some wear at top and a tear and rubbing at bottom. Former owner's name inside front cover. Text has some finger c rinkling but is clean with no markings. Back cover has some very faint pen marks and a sticker pull. Overall cond: good..
Nebraska: Back to the Bible Broadcast, 1970. 28 pp. Favorite Gospel songs used on the Back to the Bible broadcast. Stapled booklet has very minimal edgewear. Pages are clean and unmarked. A nice copy.. Soft Cover. V, Good. 8 1/2 x 5 1/2. London: Studio Vista Soft Cover. 7 3/4 x 5 7/8. 107 pp. All about Buddy Holly: Learning the Game; The Great American recording Star; The Chirping Crickets; Listen to Me, the solo records 1957-1958; Strings and things, New York 1958-9; Reminscing; The Crickets; The Holly Influence; Notes; Discography. Not a biography but a study of Holly's music. B/W photos. Cover has very min signs of wear, a touch of scuff where stic ker was but still very nice. No former owner's name. A bit of a spine tilt. A dot of stain on front free endpaper. Overall cond: good-v. good..
Essex: International Music Publications, 1988. 68 pp. Color photographs. Words and music, piano and guitar chords, to The songs of Stock Aitken Waterman and Rick Astley (Except Heyman and Young) Songs include: Never Gonna Give yu UP, Whenever you Need Somebody, Together Forever, It Would TAke A STrong STrong Man, The Love Has Gone, Don't Say Goodbye, Slipping Away, No More Looking For Love, Y ou Move Me, When I fall in Love. Small creses to cover corners but is clean, bright. Text is secure and unmarked. A good copy. Overall cond: good - v. good.. Soft Cover. 11 x 9.